Dreary. The sky’s dark and cloudy; a sure sign of an incoming rain. Tiny droplets of water then started falling down from the heavens above, exponentially turning into a hell of a downpour. What a familiar situation we’ve found these past months! Rains and storms; nights and days. For many, it has surely became the ultimate mood-breakers. Keeping their prized rides well hidden inside dry garages. Yet it is actually quite exciting to let these rides dance in the rain every once in a while. A hot, steaming drink and a warm blanket would be pretty tough to beat during such seasons. Yet the interior of such luxury-lineup BMW didn’t disappoint either. 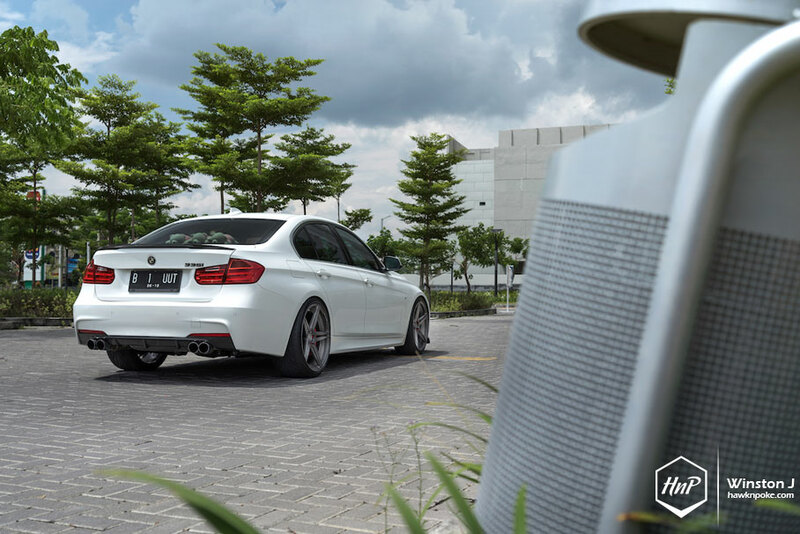 Today we’re featuring this 335i from Surakarta Solo, with captures shot during one of those cloudier days. Surely it looked like the rain was approaching, yet the 335i was so well-equipped that we’re actually excited to experience how lively it’ll be driven hard in the rain. 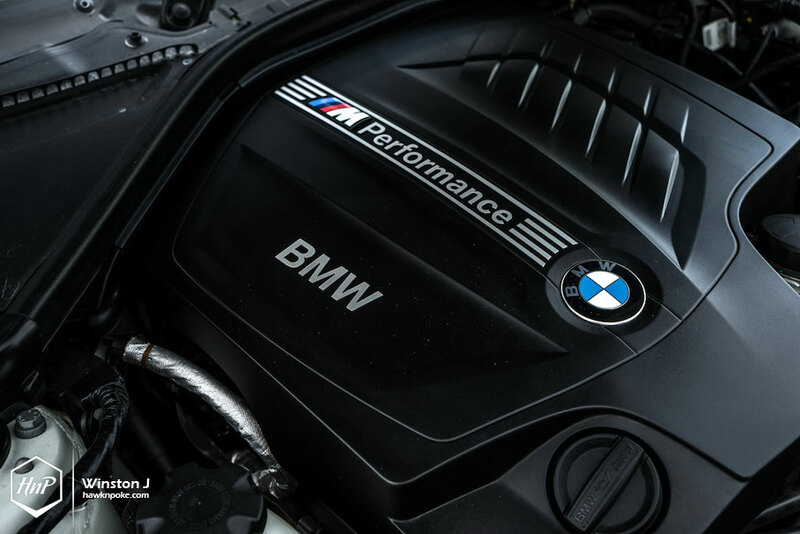 It’s the only 6-cylinder model in the current F30 lineup, a top-of-the line. 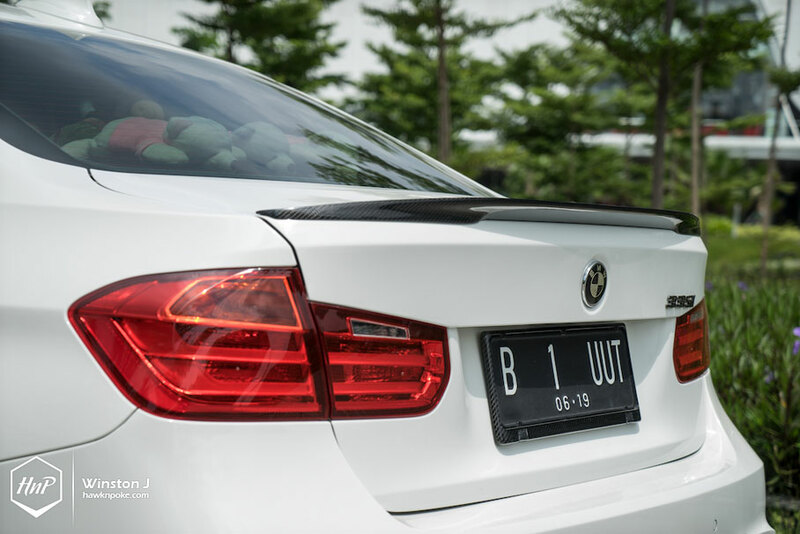 A sportier-breed despite its ‘Luxury’ trim. With ample horsepower outputs and current much-wider rear tires setup, the 335i is surely a competent contender for all seasons. Truly-functional upgrades that perform even better than the way they looked. Let’s start with the wheels. 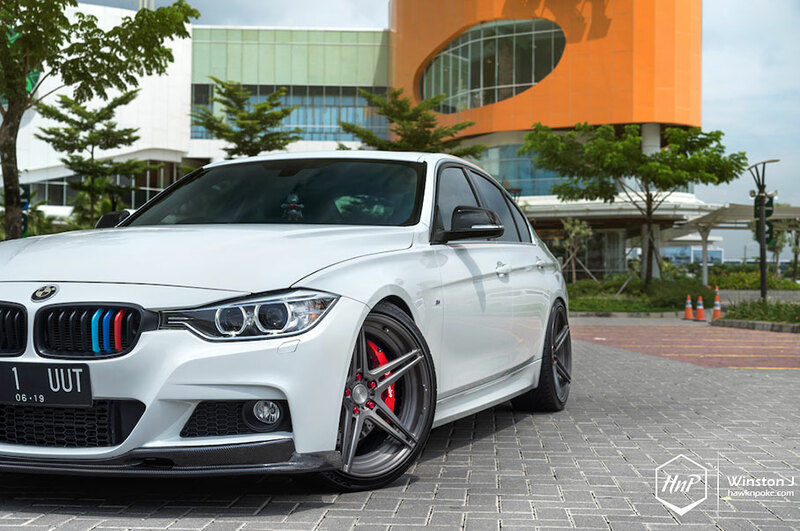 Uut chose this luxurious set of 20″ ADV.1 wheels under a staggered setup. 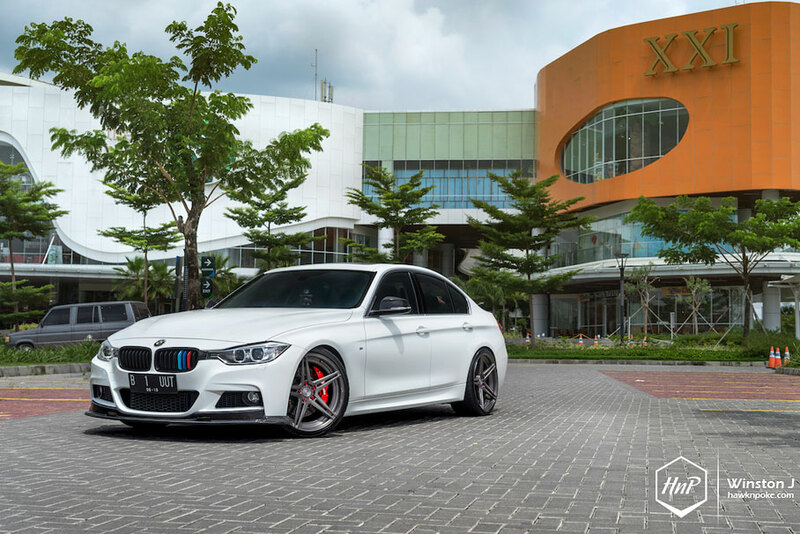 Stock wheels for such F30 usually come in the widths range of 8″-8.5″. 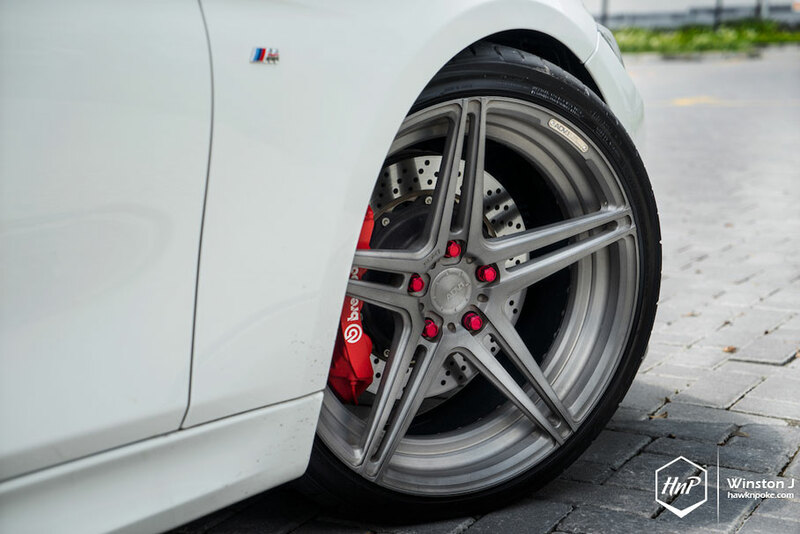 Yet Uut chose this 9″ fronts and 11″ rears setup for his build, which allows him to run 245-275 tires. A wider choice for good-looks and better traction. 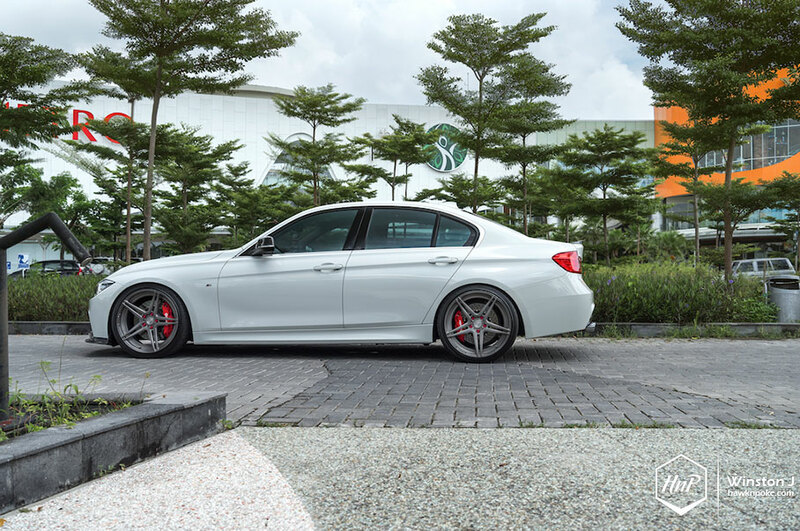 Couple that to the light-aluminium forged construction of the wheels, they became the perfect compliment to 335i’s turbo power. Then there’s the brakes setup. 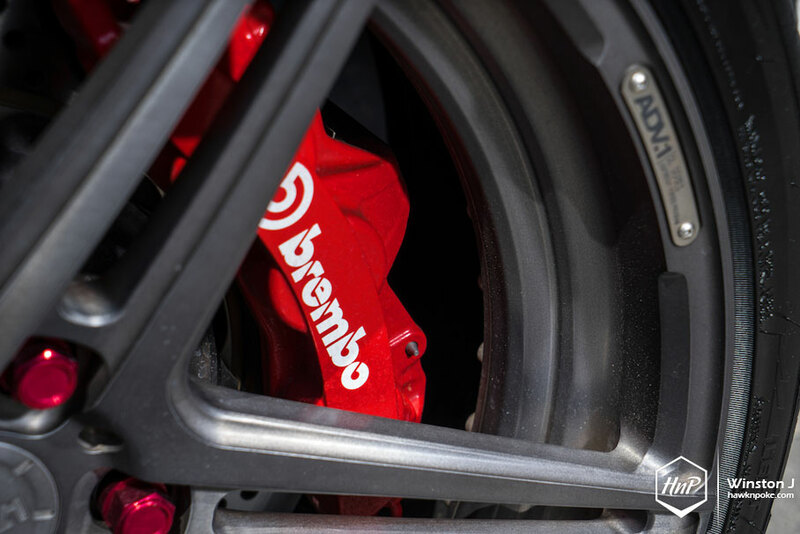 Relying on the world-famous Brembo brand, a company which also supplied brakes for Pagani Huayra, Uut was determined to prfioritize all-functional modifications foremost. Not only such 355mm-fronts and 345mm-rears setup looked so good, they did their job tremendously excellent as well. In life, great power comes with greater responsibilities. 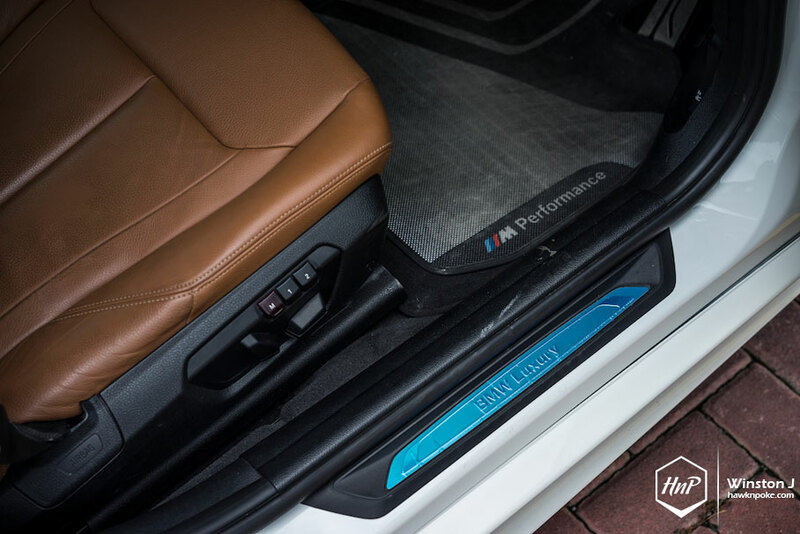 In automotive terms, great power demands greater stability. 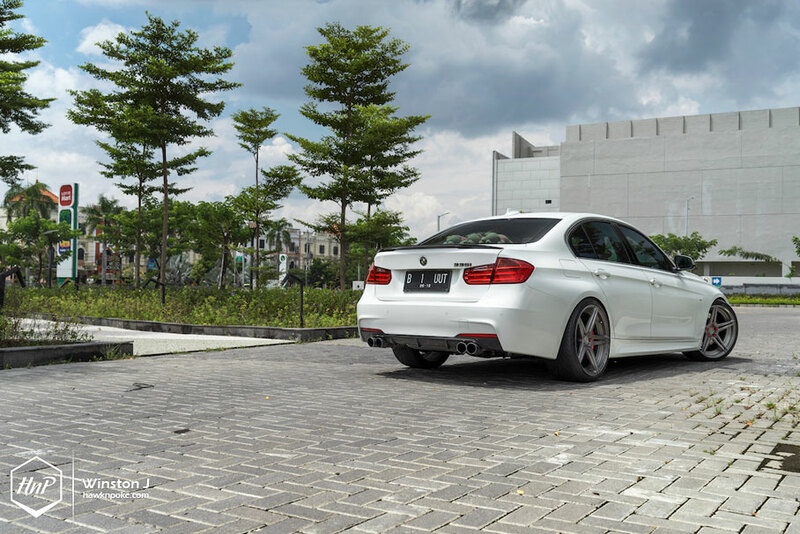 That’s why Uut’s choice for suspension came down to this KW Suspension DDC setup. 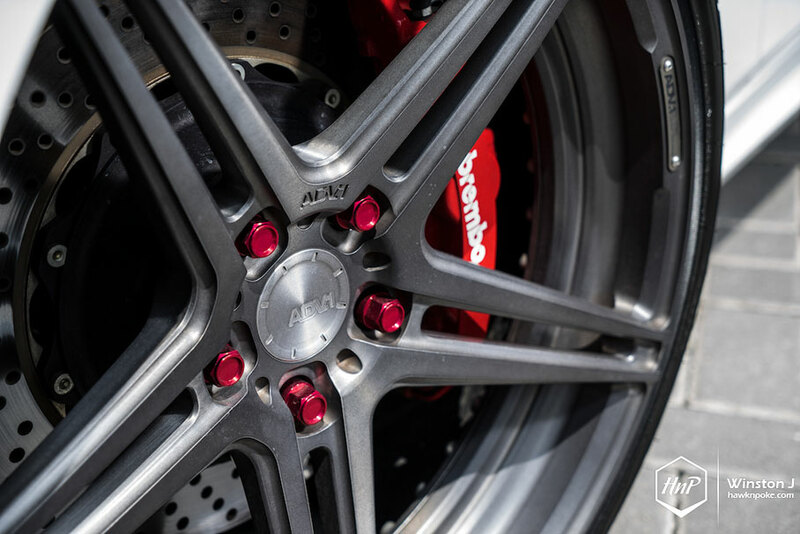 An adaptive suspension setup built by the German company which has also been supplying suspension systems for Black Series AMG’s. 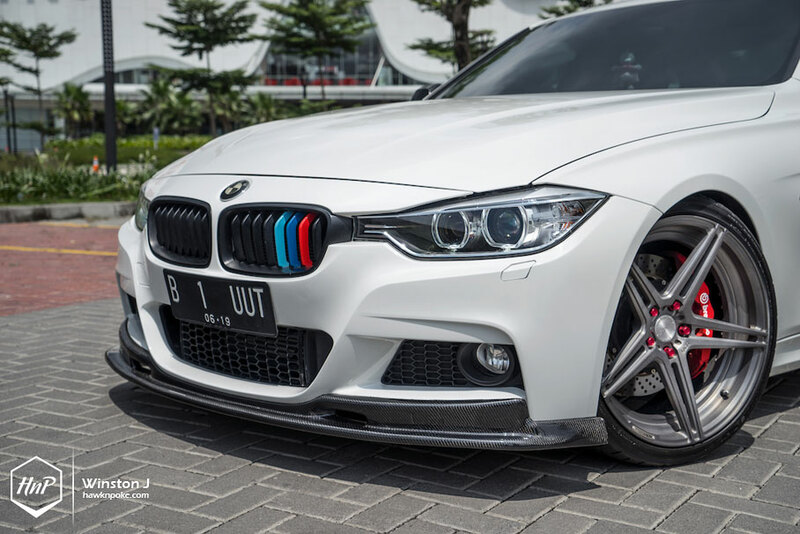 Less body-roll during corners and braking means Uut’s 335i is now even safer than stock. 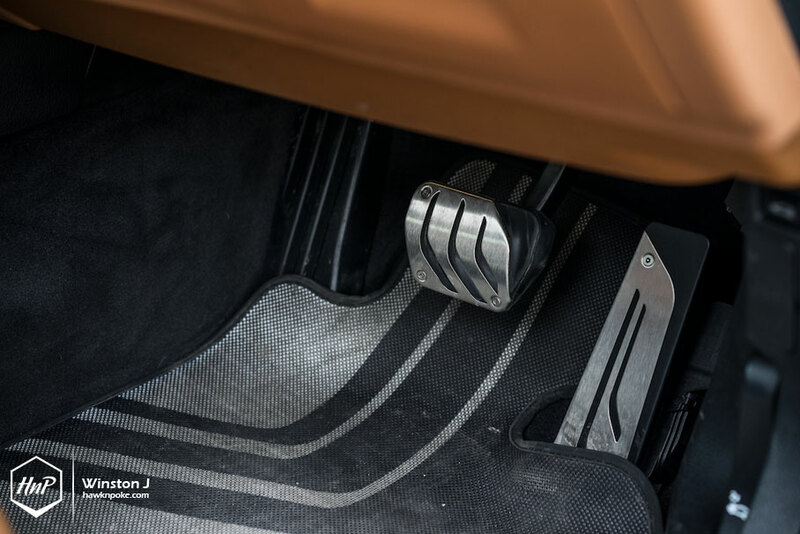 Departing from the stability and footworks upgrades, we’ll have a look at the power boosters. 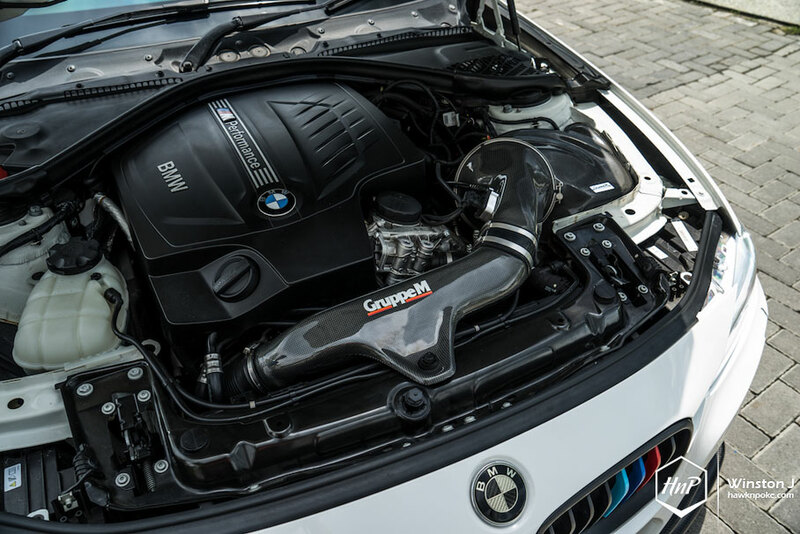 In an attempt to improve the airflow of his turbocharged-ride, Uut installed the lavish option of GruppeM intake and Eisenmann exhaust system. 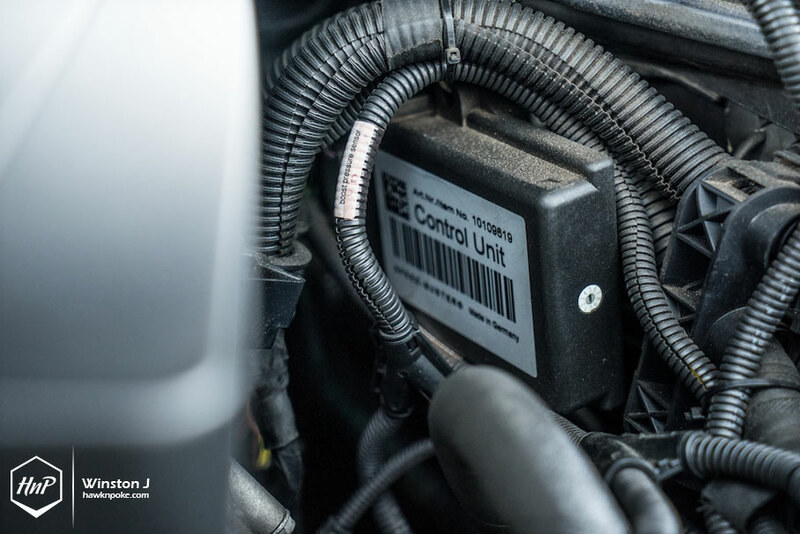 Such a setup not only allows for a higher horsepower output, but also a much livelier driving experience for Uut. 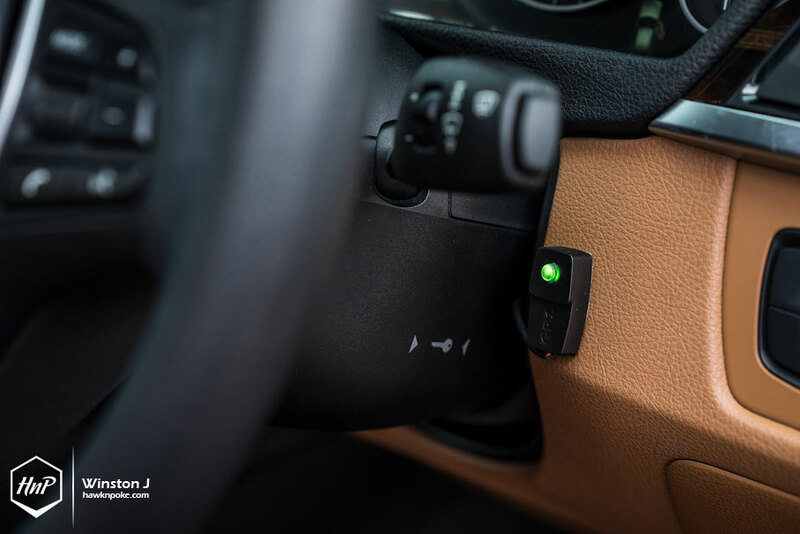 Thanks to the enhanced intake sounds and exhaust notes.